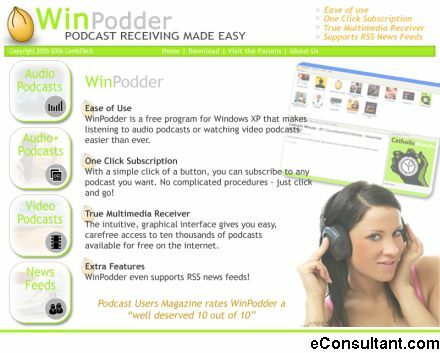 Description : WinPodder is a free program for Windows XP that makes listening to audio podcast or watching video podcasts easier than ever. With a simple click of a button, you can subscribe to any podcast you want. No complicated procedures – just click and go.